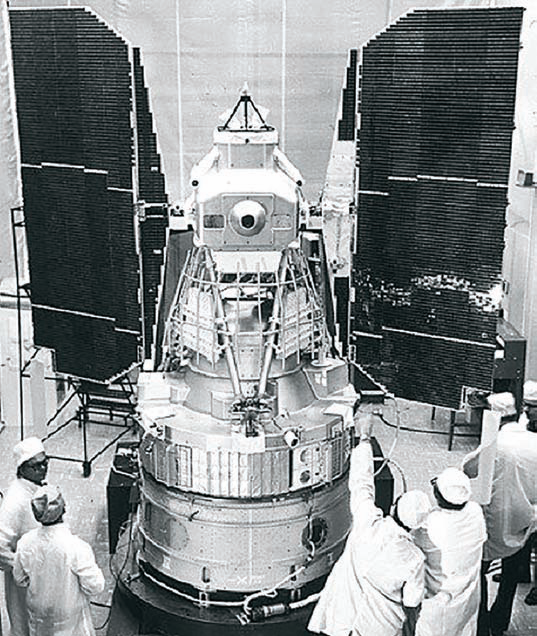 Landsat-1 upon completion of its build. SkyBox, created from a business plan written for a Stanford graduate entrepreneurship course and funded with $3 million in seed money, commanded $500 million from Google only five years and one satellite later. Planet Labs, the product of three former NASA scientists who built their first satellite in a garage in Cupertino, California, in 2012, launched 28 satellites in one fell swoop less than two years later, with 100 more satellites forecast to be on orbit in short order. The thread that runs through the two companies and their competitors is that they use satellites that would fit on your dining room table—some on your placemat at the table—to take high-definition images from Low Earth Orbit (LEO). The nanosatellite (nanosat) ranges between 2.2 and 22 pounds and can be launched in clusters from rockets built by emerging companies, who are cutting their launch prices in competition for the business of delivering payloads into space. To some extent, the nanosats are the progeny of the Earth Resources Technology Satellite-1—later Landsat 1—sent aloft in 1972 to provide the first commercially available images of the planet. However, nowadays the upstarts cost a fraction of the $850 million (in today’s dollars) of the Landsat 1 cost, yet still find a way to produce vivid images from assets built from components designed for cell phones and laptop computers and assembled to fit into a shoe box-sized or smaller container. “Essentially anybody can do it, because a combination of miniaturization, simplification and availability of technology for building small satellites has made it accessible in a way that has never been before,” James. P. Lloyd, associate professor of astronomy and mechanical and aerospace engineering at Cornell University told the New York Times. Imaginations soar—in all directions. For instance, what is to keep rogue interests—i.e., terrorists—from adding to the nanosat constellation? For one consideration, there is the technical capability to build a satellite, the wherewithal to buy a ride into orbit, the means to develop an Earth station to retrieve what the satellite sends back, and the sophistication to create algorithms to make sense all the involved technologies. Priorities come into play—the funding for all of that would buy a lot of rifles for a great number of fighters. For another, there is Article Six of the Outer Space Treaty, which mandates licensing and inspection of rocket payloads by its signatories, which include Iran and North Korea, along with the United States. “It also makes a nation responsible for the activities of the satellites, both before launch and after,” said Henry R. Hertzfeld, research professor of Space Policy and International Affairs at the Space Policy Institute of George Washington University. Still, there are questions about the Outer Space Treaty’s enforceability as technical capability and opportunity expand—a future investment in space for nefarious purposes could be yet another story. Global Strategic Trends – Out to 2045, a report by the United Kingdom Ministry of Defense’s Development Concepts and Doctrine Centre (DCDC) that was released in July, warns that a terrorist’s satellite is likely over the next three decades, as development costs decline and private company payload launch capabilities increase. 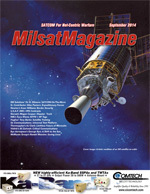 The think tank also warns of potential satellite-generated GPS and military and civilian communications disruption, as well as signal jamming and even piracy by a group or groups that take advantage of an inability of governments to forge international space agreements to thwart such activities. More important for now is that this report acknowledges that a satellite isn’t necessary if the group’s primary aim is to see images of its enemy. “Already, those who wish to discover weaknesses in the security arrangements of sensitive infrastructure can buy high resolution imagery from companies that operate Earth observation spacecraft,” the DCDC said. Even easier, and cheaper, are unmanned aerial vehicles that are becoming universally available and offer portability and flexibility to deliver pictures of an enemy to troops in the field. 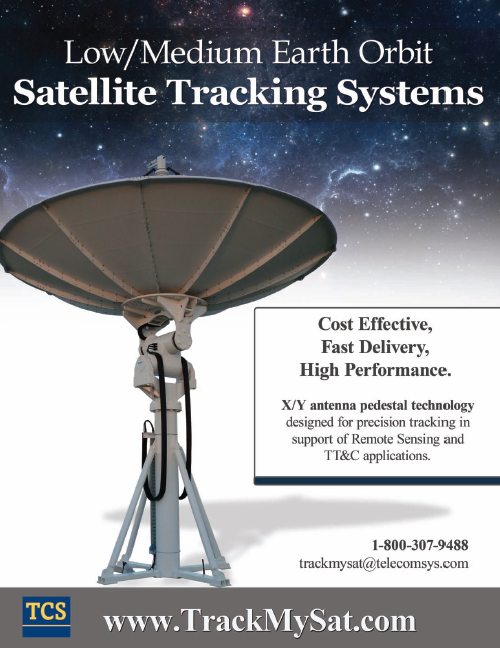 Thermopylae Sciences & Technology uses the web to relay EO-based emergency data to users. Image courtesy of TST. That’s why, rather than imagining a James Bond Dr. No movie script of nefarious activity, companies that are pioneering the nanosat expansion today focus their imaginations on real value, rather than potential for mischief later. They see the field of satellite imagery as a means to exploit a burgeoning geospatial intelligence capability for business, for science and education and for humanity. When Google acquired SkyBox in June, the idea was that the images would be used as a geospatial data fusion tool with Google maps, which then would be even more valuable if those images were more plentiful and— even more importantly—timely. If they were collected daily or even more often than the current annually or less often image captures, their utility and validity would increase a thousand fold. SkyBox, which has two satellites about the size of a phone book on orbit, plans to have six in space by 2016, offering visuals of the entire Earth twice a day, all the while consuming less power than a 100w light bulb. When the company’s 24-satellite constellation is complete in 2018, three images daily are planned, with a resultant capability of near-constant monitoring of traffic patterns, commercial customer activity gauging and daily crop reports—along with instantly available emergency and humanitarian relief use. 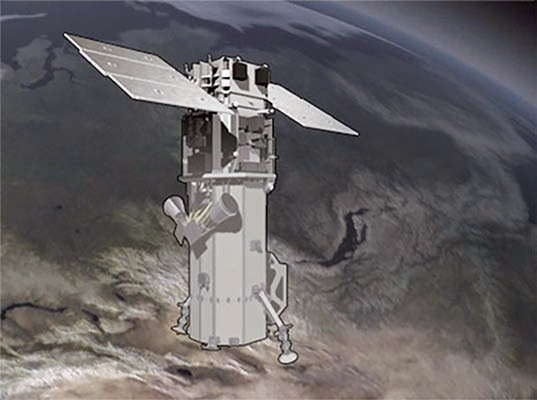 Artistic rendition of DigitalGlobe’s WorldView-3 satellite. When combined with military capabilities—and remember that the National Geospatial-Intelligence Agency uses commercial imagery for about 90 percent of its products—companies such as SkyBox and its nanosat competitors, Planet Labs and others, offer the potential for what NGA Director Letitia Long told the recent 30th Space Symposium attendees in Colorado in May was “the Holy Grail in intelligence: persistency.” It can do so at a fraction of the cost of developing and launching constellations of Landsats. A nanosat learning curve that already is accelerating was spurred recently when the U.S. Commerce Department ruled that commercial satellite images available for sale could be even more vivid and offer greater detail. The agency’s previous standard allowed for objects of no more detail than 50 centimeters per pixel for a commercial image from space, and while that has served for decades, more recent technology and fast evolving ways to use the pictures have created a demand for more fidelity. With that in mind, DigitalGlobe, a $3 billion company and the world’s leader in commercial high-resolution in satellite imagery, petitioned to be allowed to sell pictures with 31 centimeters per pixel, with a potential increase to 25 centimeters. DigitalGlobe does 60 percent of its business with the NGA, and also is a Google Earth supplier. Commerce consulted with the Intelligence Community and State Department and agreed to an increase in offered resolution. 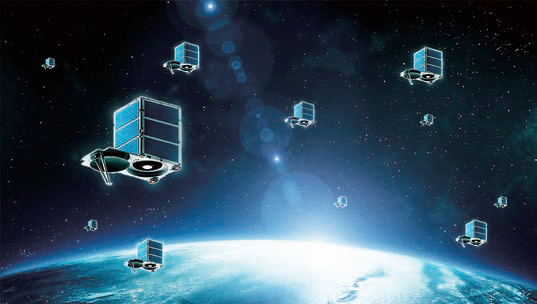 A fleet of 24 satellites on orbit is Skybox Imaging’s constellation plan.Image courtesy of Skybox Imaging. DigitalGlobe was scheduled to launch its WorldView-3 satellite in mid-August, and a 180-day countdown to 25 centimeter images begins when the rocket leaves the launching pad. Can nanosats and their imaging capabilities be far behind, and at a fraction of the cost of the $650 million WorldView-3? SkyBox’s constellation will be comprised of satellites about the size of an under-bar refrigerator. Competitor Planet Labs launched Flock 1, called “doves,” which was comprised of 28 10x10x30-centimeter satellites, from Wallops Island, Virginia, to the International Space Station in December. They were deployed into LEO in January. Eventually, Planet Labs will launch 100 more of their “doves,” and their efforts will, in effect, crowd-source images. Other competitors have their own ideas, some offering images themselves, others offering information from the analysis of the images. Still other companies with different ideas are visions in entrepreneurs’ eyes while awaiting capital investment. That investment is coming, because a booming $2 billion global commercial satellite imagery business that is expected to grow by 14 percent through 2019 will lure investors. That growth will be fed by plans for as many as 1,000 nanosats in the next decade. 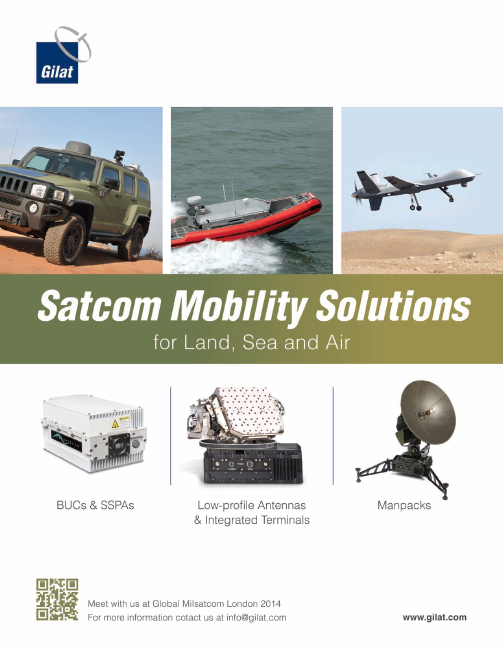 Business plans for the companies vary and range from selling satellite images to the military and government agencies to assist crucial operational planning and missions, to firms that might like to count cars in competitors’ parking lots during a holiday sale, to environmental missions, to education, to humanitarian and disaster relief and scientific research and, yes, even more. Each new company, each technical advance is a product of an effective imagination and spawns even more thought in developing new uses for nanosats. This is a new space race, driven by entrepreneurialism and the opportunity to gain a foothold in the ever-expanding imagery market sectors. 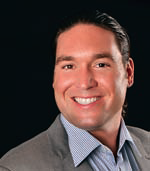 AJ Clark is the President of Thermopylae Sciences & Technology (TST), a leading provider of Web-based geospatial capabilities, mobile software framework and applications, situational awareness, and cloud computing solutions for the U.S. military and private sector businesses.